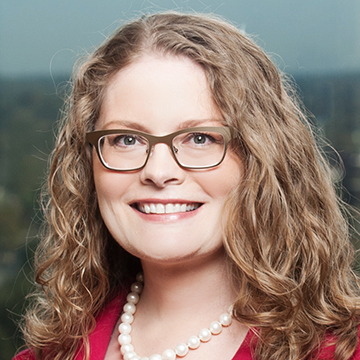 The Greensboro Bar Association recently recognized partner Jennifer L.J. Koenig as a member of the Herb Falk Society with 108 hours of pro bono service in 2018. The Herb Falk Society honors members of the Greensboro Bar Association who contribute at least 75 hours of pro bono service annually. Koenig has served on the board of directors for the Community Foundation of Greater Greensboro (CFGG), an organization dedicated to inspiring giving and strengthening the community for present and future generations. She is also part of CFGG's Future Fund initiative and is chair of the organization's Professional Advisors committee. Koenig is a member of the firm's trusts and estates group and counsels clients on matters from simple wills and powers of attorney to very complex estate planning. She also assists clients in creating private foundations and other charitable entities, as well as assisting in the creation of donor advised funds.